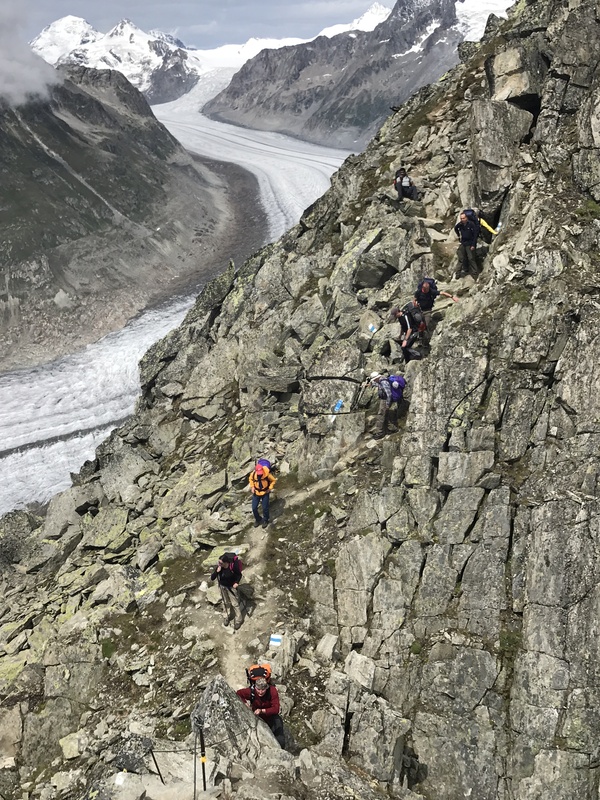 The Upper Valais region in Switzerland, with routes up to 3,000 meters altitude and surrounding the magnificent Groesser Aletsch Glacier, was selected for a summer mountaineering expedition, exercise ALPINE BULL, which took place between 24th and 30th July 2017. Twelve personnel with a mixture of background, qualifications, and experience from 11 Infantry Brigade and headquarters South East, based in Aldershot, took part. The headquarters has a strong track record of ‘One Army’ integration, both on and off duty, and the mix of Regular and Reserves (Army Reserve and Full-Time Reserve Service) that joined the expedition was 50:50. The expedition leader, Lieutenant Colonel Graeme MacPherson, is qualified as an advanced Joint Services Mountain Expedition Leader (JSMEL) and, with his experience of the region, planned a varied, exciting and challenging package within the realms of the Joint Services Adventure Training (JSAT) scheme. The aim of the exercise was to introduce and develop summer mountaineering skills under the Summer Mountain Foundation (SMF) training package. It was also designed to develop mountain leading skills in the [two] members of the expedition already qualified as Mountain Leader Trained (MLT). Captain Neal Khepar was responsible for the workings of the expedition and started on the general organisation in April. This allowed a straightforward progression from authority to proceed, diplomatic clearance, bidding for and collecting equipment, booking transport and accommodation to approaching potential sources of funding – which also led to a welcome grant from Ulysses Trust. Following classroom periods for overall briefing, equipment issue and instruction on some of the elements required by JSAT such as mountain conditions and mountain weather, we arrived at the airport for a flight into Zurich followed by a train journey to our first overnight stay, a hotel between Visp and Brig, following an afternoon of purchasing provisions. Day one started with a bus journey and cable car up from Rosswald. Team members were carrying their own equipment and water, plus elements of collective safety equipment, such as ropes and emergency shelters, meaning that each load was in excess of 20 kilograms. Initial adjustments to the load carrying were carried out whilst ascending the remarkably steep first leg! 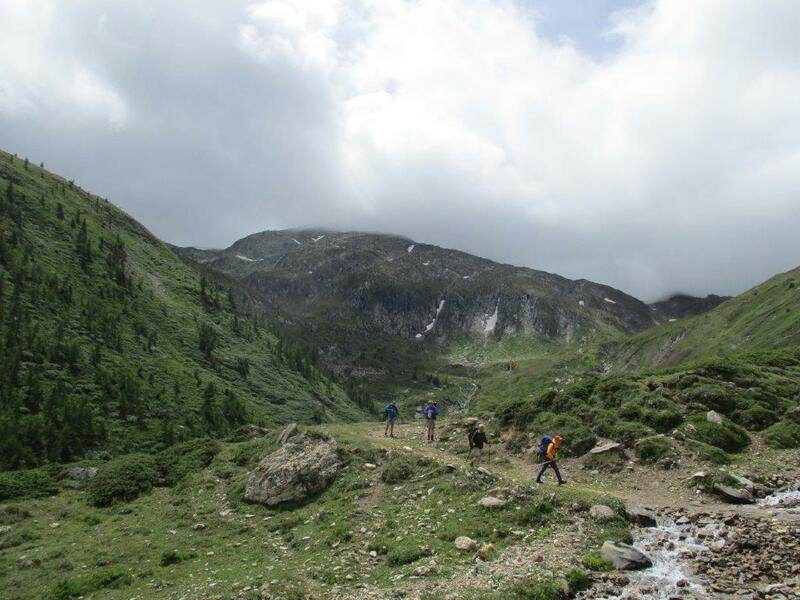 During the course of the expedition, to develop the skills required for the summer mountain foundation qualifications, different members of the expedition were nominated to take their turn to lead their group for various legs. 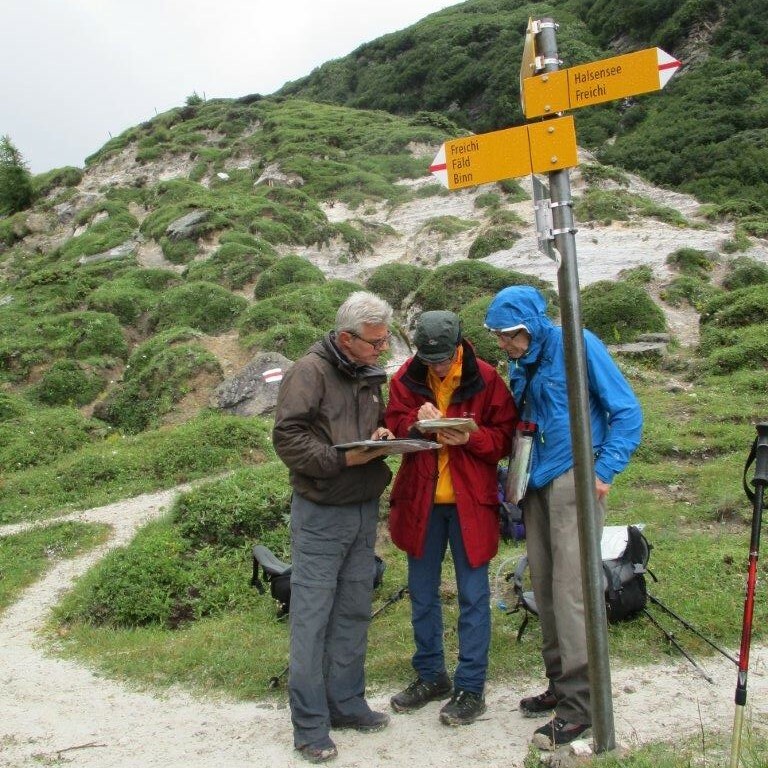 This allowed an excellent opportunity to practice route selection, map reading, micro-navigation, weather interpretation, and team leadership. As the day went on we ascended further to cross the Saflischpass (2,541m) in weather reminiscent of earlier beat-up walks in the Brecon Beacons: we experienced four seasons’ of weather in the same amount of hours! The afternoon brightened up for us and, having split into two groups, we descended to meet up in the picturesque village of Binn, where Winston Churchill had chosen to stay a few times. Time allowed an ice cream here prior to ascending again to our mountain hut lodging. After the initial walk of more than 24 kilometres and 1,600m height gain, the welcome from the hosts at the Binntalhuette (2,265m) was well received: we drank mountain tea, water and a glass of the local schnapps to accompany our wholesome meal; carried out our personal administration and slept in the rudimentary, though comfortable, bunks of the communal billet. Breakfast was followed by a return down the top valley and then off on a different route towards the Eggerhorn (2,503m) that included a wide bog of cow manure and freshly mowed footpaths, the latter making the going easier. 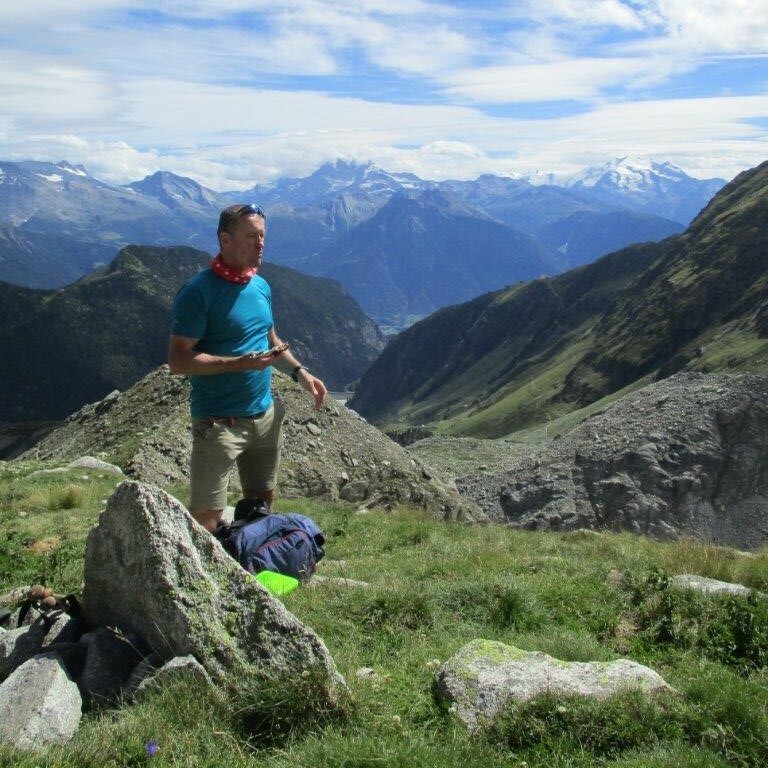 After a snack lunch, via some steep sections through isolated woods, we eventually reached the summit to take in the views and a snack before commencing a journey down the valley that seemed never ending…. 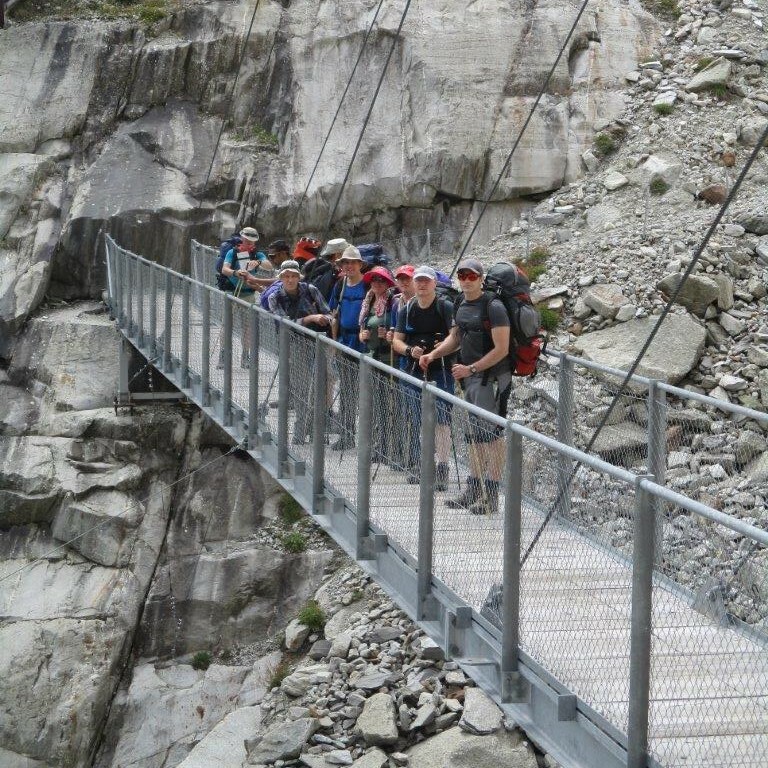 It also included the crossing of a long pedestrian suspension bridge before continuing further down towards our hotel in Fiesch, just in time for dinner! 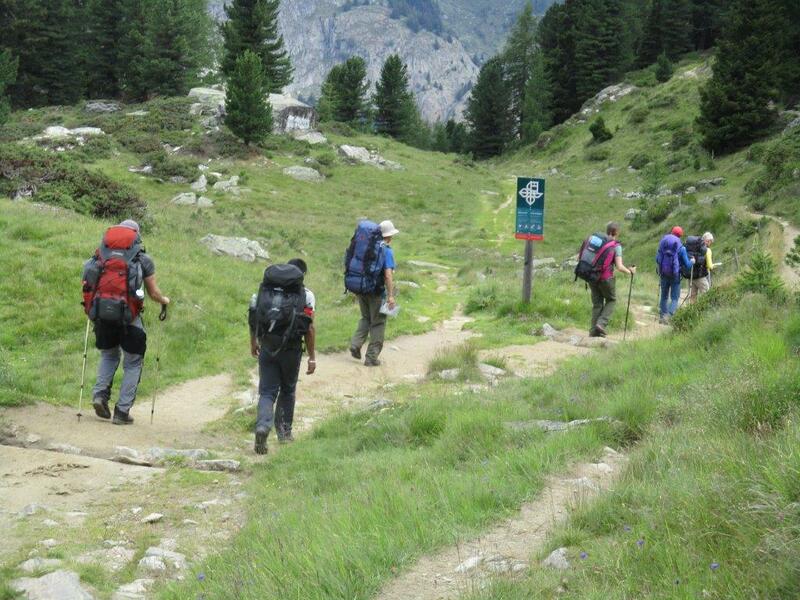 A further 24 kilometres and 900m height gain completed. It is fair to say that many members of the team had not carried such weight over such arduous terrain for some time and, with the variety of personnel making up the expedition, a notable observation was that the group always successfully achieved its goal by travelling at a steady pace that was suitable to accommodate the slower members of the team. The next morning, feeling refreshed, we took the cable car to the top and then walked to the nearby summit of Eggishorn (2,927m). The team was collectively awed by the amazing view both up and down the Groesser Aletsch glacier which we stayed to enjoy for some time prior to walking back down the ridge and following the marked route back to Bettmerhorn (2,872m) during which time we were regularly overlapping with a group of younger people with considerably lighter loads and clothing. 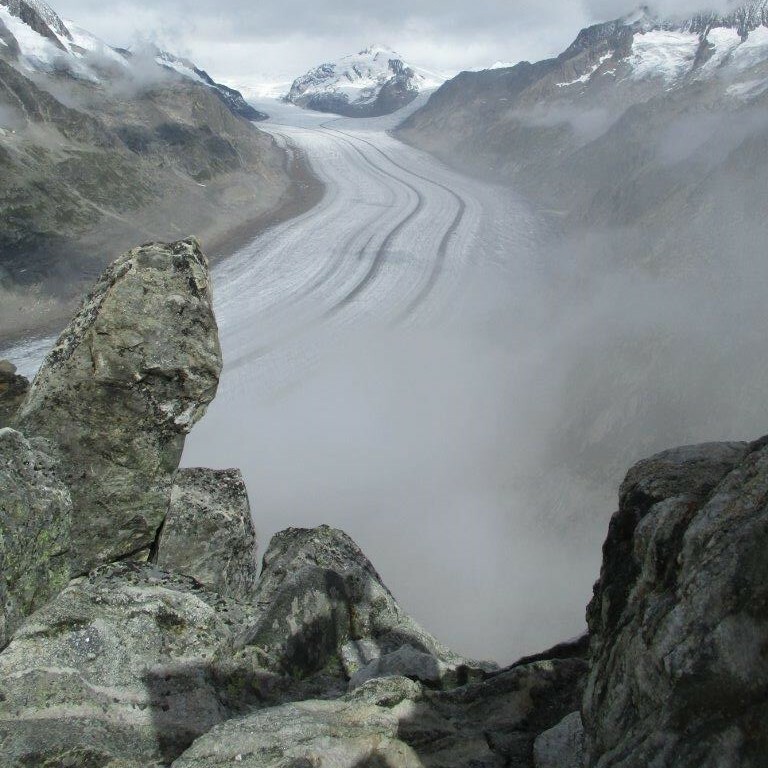 Thereafter we descended for a brief visit to the Aletsch glacier museum and down into the village of Riederalp to an excellent hotel with a swimming pool to relieve aching limbs; followed by sumptuous four course meal. Another 12 km and 700m height gain notched up. 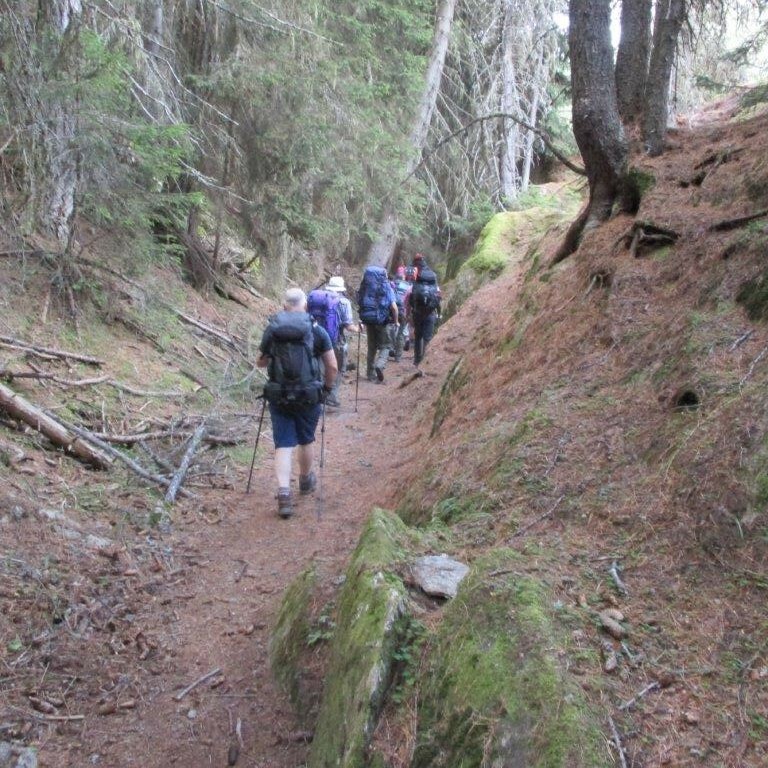 The fourth day started with a short ascent before enjoying a long walk down through the ancient Aletschwald forest and over the pedestrian suspension bridge in the area of Belalp. The less than clement weather of the first day was now well passed and, with temperatures in the mid-twenties centigrade, we had perhaps overly warm and sunny accompaniment to our climb via a small hamlet and then a shorter route which, although saving the time taken for the original route, was considerably steeper but quickly made up for the altitude lost in the morning. Crossing the foot of the glacial valley we crossed another bridge in the region of Lochegga, across a raging torrent and then on to the mountain hut at the confluence of the Beich and Oberaletsch glaciers. The impressive scenery along this panoramic route seemed akin to the mountain routes described for Middle Earth [the Hobbit, etc.]. With 14 kilometres and a height gain of 1,000m that day, the unique selling points of the Oberaletschhuette (2,640m) were the heli-view of the two glaciers, the pricey drinking water and its outside mountain water supplied bath with impressive views but a very short dwell time – as proven by a few intrepid members of the party! 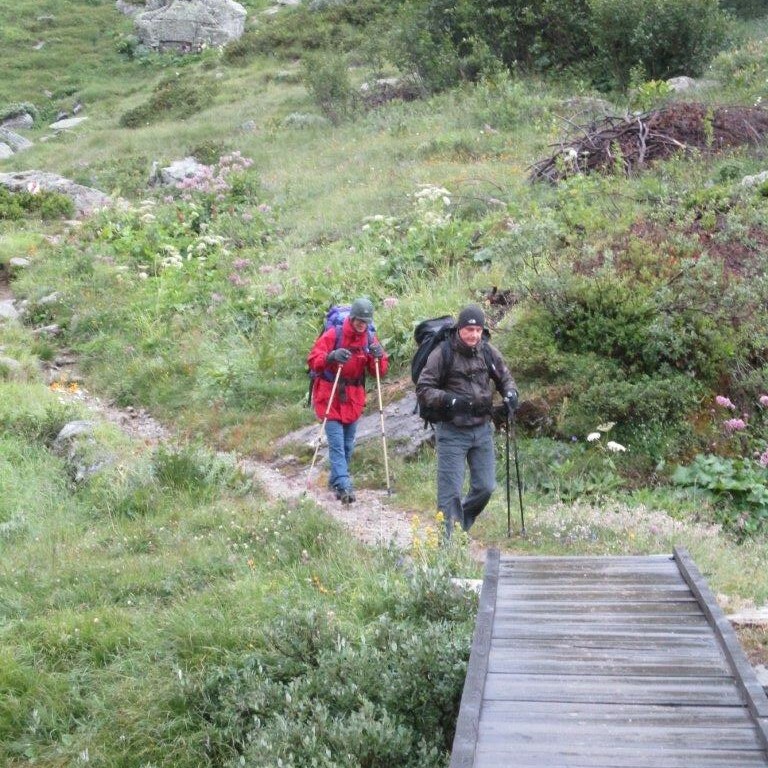 The last day of the main effort involved an early start and a return down the panoramic route, back across the bridge and contouring along the valley side that we had climbed the previous day. This went well and we covered the ground in two-thirds of the time we had managed the previous day – perhaps akin to trekking ponies knowing they are on their way back the stables! The last challenge of the morning leg was a climb up ‘church steps’ before reaching the top and taking in a view over the Stausee reservoir. From there on to the top of the cable car and then our bus journey into Brig. Having completed a further 10 kilometres, bratwurst and chips at a restaurant on the town square was the order of the day and some also enjoyed a glass of beer prior to taking the train to the Jungfrau. Despite the slight confusion regarding exact the boundaries of our Swiss Travel Passes and the private Jungfraubahn, this journey highlighted a common theme throughout the trip: the peace of mind provided to the organisers by the renowned efficiency of the Swiss transport system. 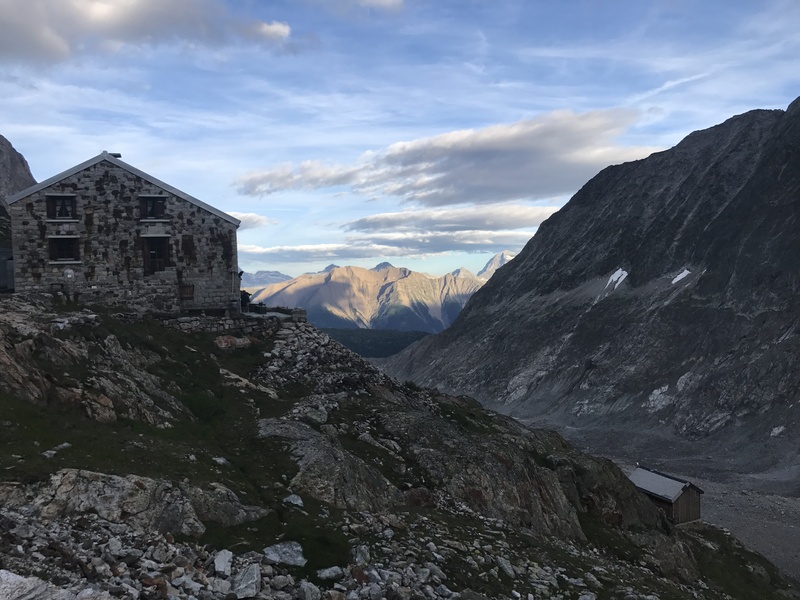 Having looked around the theme park like exhibits of the Jungfraujoch (3,466m) we trekked up to our final overnight stay, at the Moenchsjochhuette (3,650m), reminiscent of an Antarctic research station pinned onto the side of a valley. 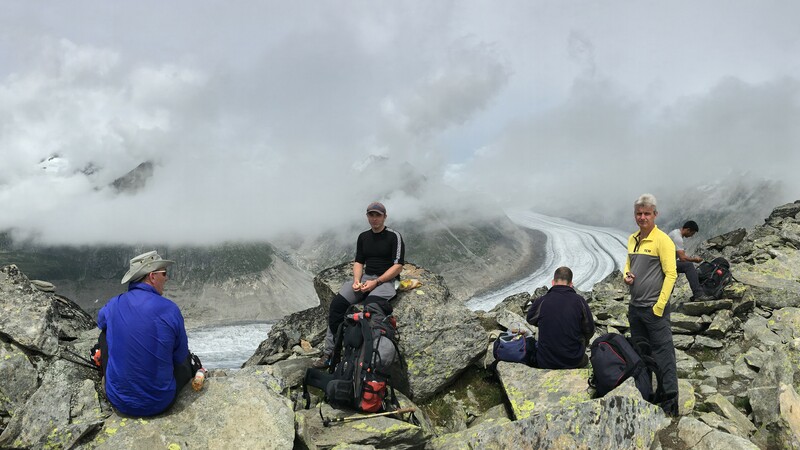 This afforded beautiful mountain views and an impromptu birthday party, plus on the route in and out we were able to look back down the Groesser Aletsch glacier. 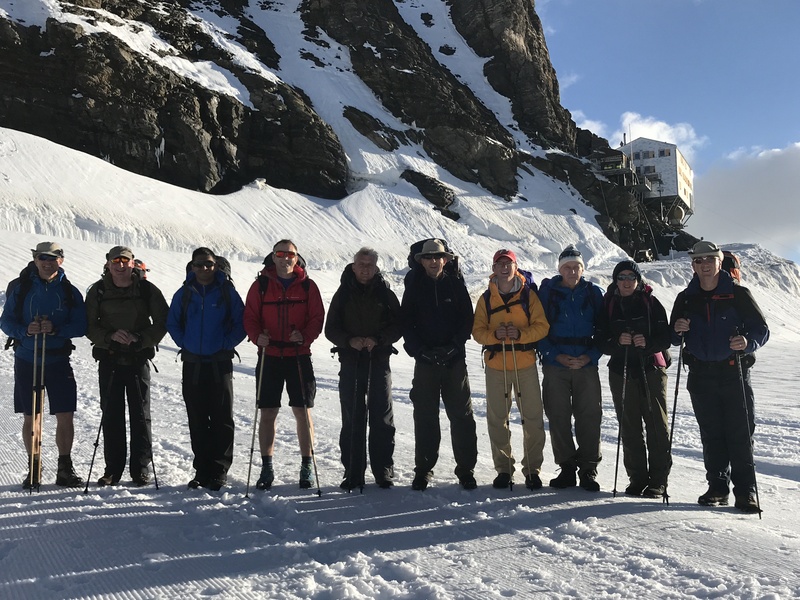 Our last day allowed a leisurely walk back down to Jungfraujoch in glorious weather and the train ride down the mountain for a relaxing lunch at a very obliging pub/restaurant in Interlaken at which we took our final assessments. From there, the trip back to Zurich, during which time some members of the team took control of a real life casualty incident on the train prior to the paramedics arriving. After a delayed flight and arrival back in the UK, we were collected and got home for dispersal. During the following few days the necessary post-expedition administration went smoothly and all matters were closed out promptly. 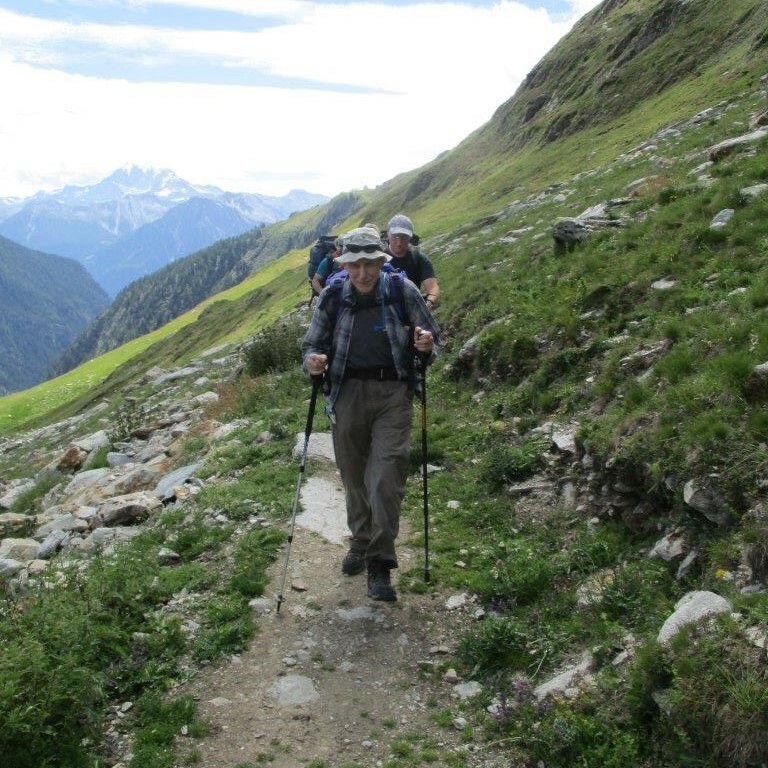 Having not used them on trekking earlier expeditions, and having elected to use them here, the writer’s lesson learned is that trekking poles are a great tool and save a lot of leg effort. In summary, this was a challenging expedition at altitude and delivered a sense of achievement, excitement, variety, enjoyment, interest, contact with the outdoor environment and the broadening experience of travel. It enhanced the quality of Service life and contributed to recruiting and retention. 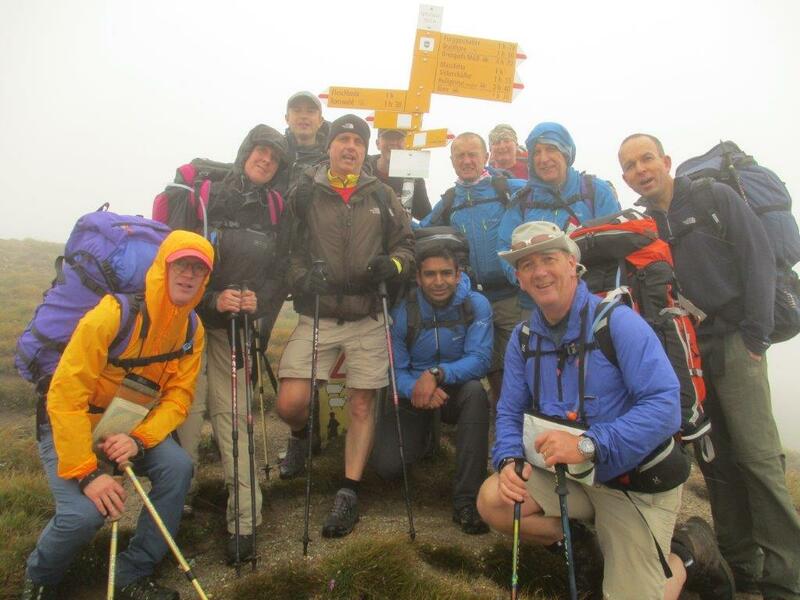 The expedition developed the innate personal qualities of initiative, selflessness, compassion and comradeship; providing a medium for development of all these characteristics by pitting Service personnel against the elements. Moreover, it helped to identify and develop leadership qualities, built character and improved physical fitness.